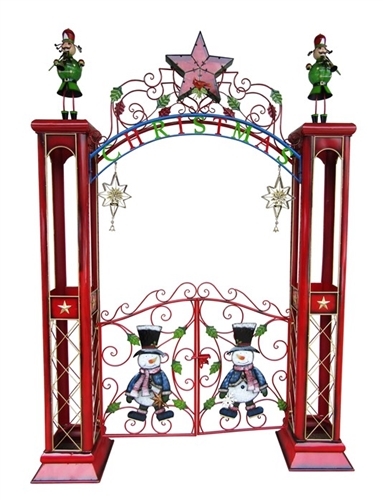 The Large Christmas Gate with Arch and LED is an absolutely beautiful piece. The metalwork on this piece is fantastic and pictures do not do it justice. Very thick and strong powder coated iron and beautifully painted, this piece is already a very good seller. 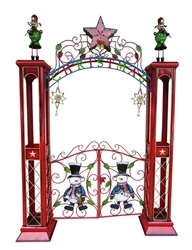 Equipped with LED star and nutcrackers on each pillar, this piece also has very nice golden star candle holders hanging on each side of the entrance. Dimensions: 81" L x 17" W x 115" H. Simple assembly required. Tools included.